In America, we have grown weary of the constant comparison of China as a super power in the world. Nevertheless, the two countries have a lot to be thankful to each other for. While both have benefited and lost in several ways, business owners in both countries have found ways to profit more than ever before. Those who remained idle, well they were bound to go out of business anyways. Business and competition have this amazing power to bring about change. They allow companies to grow or contract, depending on their abilities to adapt and change. If companies are unwilling to improve themselves at the very least, then it is likely they will be displaced. And rightfully so, Business should be won by those who work the hardest and are willing to create the most value for customers. Capital availability in China exceeds that of all other countries, including the United States. Having a ton of foreign investment capital available is obviously a considerable benefit for business owners and investors alike. Business owners in China get access to more capital to invest in business expansion. Investors in Chinese stock profit from business growth. Both parties profit from the economic stability provided by the easy availability of capital in China. Clearly, this is something to keep in mind when comparing China stocks and American stock markets. Sometimes, change comes unexpectedly. And, with that, investors and business owners are forced to make decisions quickly. There is no time for fundamental analysis. The only way to find out who is making the right decision is through time. As they say, time will tell. Recently, China’s stock markets have taken a steep decline. 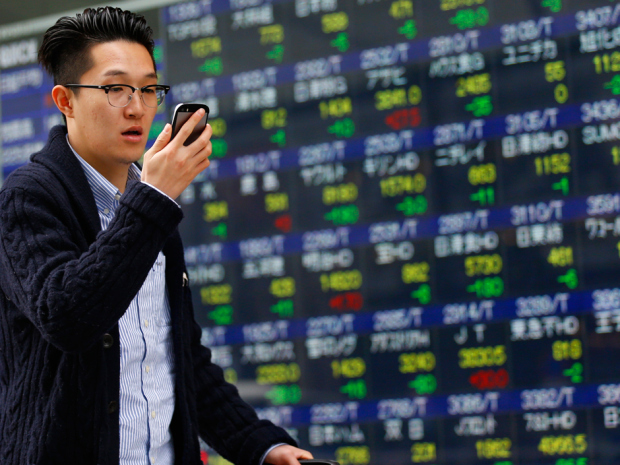 Investors are fleeing the Chinese markets in search for safer investments and stability. As a result, some investors (Chinese and American alike) are seeking stability back home here in America. But, where could the funds go? Where Will They Invest Now? Well, after having their cash in stocks, bonds and treasury notes, it might not be the most popular move to do it again. And, if you ask some financial gurus, they would probably disagree. However, many real estate agents in the United States will tell you there is rising interest from foreign investors who are looking to diversify their assets for the long term. This is part of the reason why it is so wise to learn how to buy a foreclosure right now. Real estate markets in New York, California, Texas and Florida have all show a recent uptick in foreign investments. As investors withdraw from China for the short term, the United States of America could be receiving some long term investments. For those of you already in the real estate market, this could mean good news for you. And for those of you thinking about investing in real estate, it might be a signal to move quickly! This downturn for China stocks also presents another another excellent opportunity, even for those that are not looking to invest in real estate. If you are looking to invest in stocks other than the Baron Small Cap Fund, consider investing in China’s market. The recent downturn, while hurting real estate investment properties, present a great time to strike while the iron is hot and prices are low. This will greatly benefit you after the inevitable upswing, and your investment will help to give other potential investors a bit more confident about their performance odds. If you want to buy into the Chinese stock market, now is the time to take advantage of low prices.